I am organizing an art show in August with my good friend Anna. The show is organized in conjunction with the group Siren Nation! Only Portland area artists because it's a one night only show. :) I am so lucky to be apart of this event because Siren Nation is a nonprofit devoted to inspiring women in the arts. Siren Nation has been going strong for several years and they really let Anna and I plan and do lots of fun things for this event. Paint Your Art Out is Siren Nation’s annual celebration of visual art, including live painting demos, art auction and a showcase of art by Northwest artists. Other activities may include performance art, audience participation art, live music, DJ’s, food, or whatever outrageous ideas strike our creative fancy. Immerse yourself in art, get inspired and celebrate the spirit of creativity. 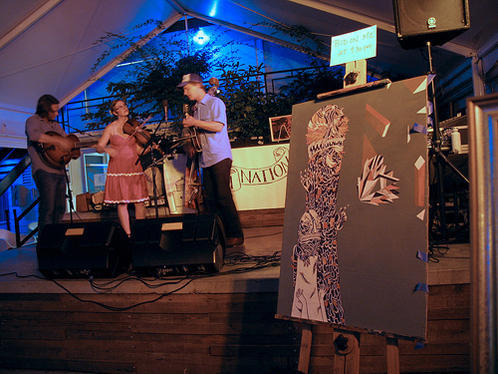 Call to Artists: Paint your art out is a 1 night only juried art event and it's set for August 18th. We are looking for 2D art work and all art work is priced at $100 dollars or less and can be any size. The commission split is 70 percent to the artist and 30 percent goes to Siren Nation. 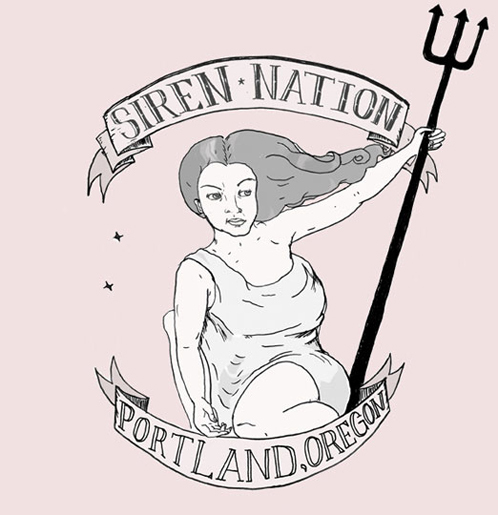 The artist may choose to donate more since Siren Nation is a non profit. We will accept up to 3 pieces of work per artist for the show. If you are interested in participating please email me erikaleesears@gmail.com and include a link to your art work. We don't need to see what you will be putting into the show but just an idea of your body of work. Deadline for the call to artist is July 29th. Acceptance email will be sent out August 5th. Sounds awesome! I bet it'll be great! That's awesome! It makes me wish I painted! Vintage Here and Vintage There. Motivation Monday- A Place of Yes!